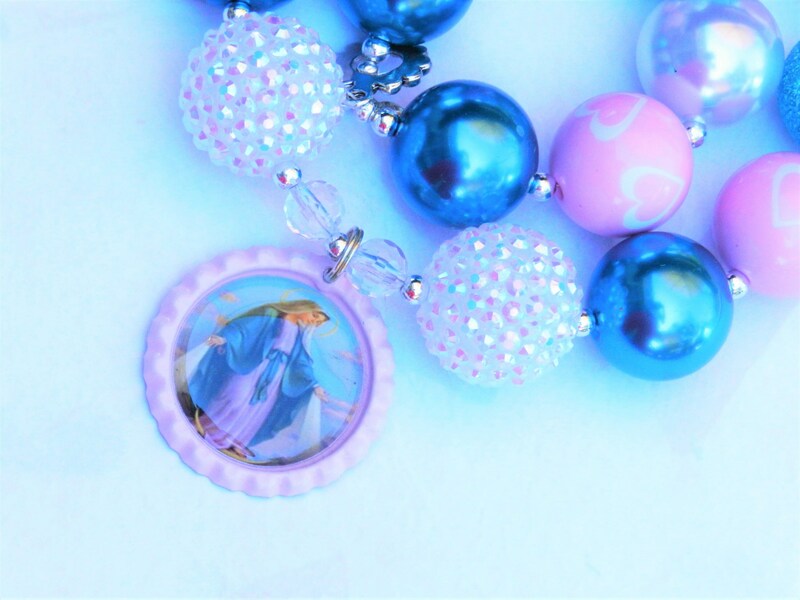 Pink and Blue Bubblegum Beads Necklace with Our Lady of Grace Catholic Pendant! 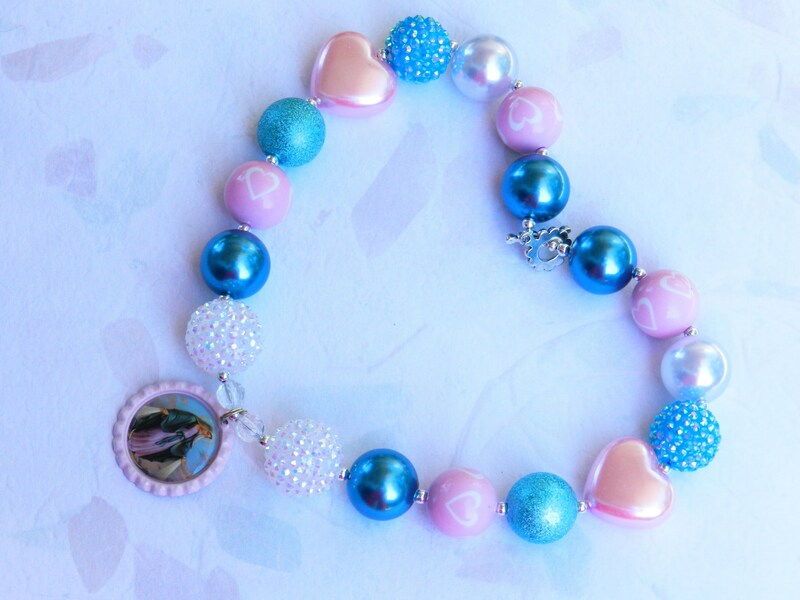 Handmade, custom designed, Chunky Necklace with heart shaped beads, perfect for Toddlers and Girls of all ages. 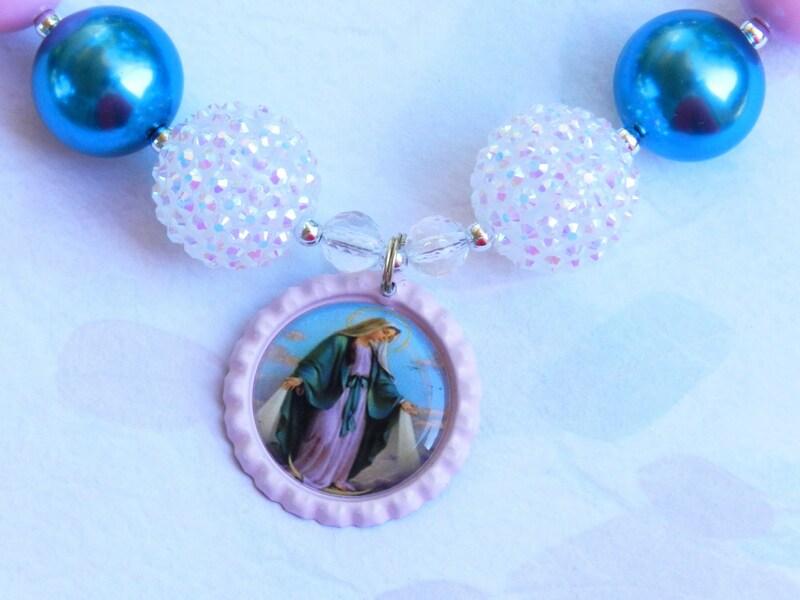 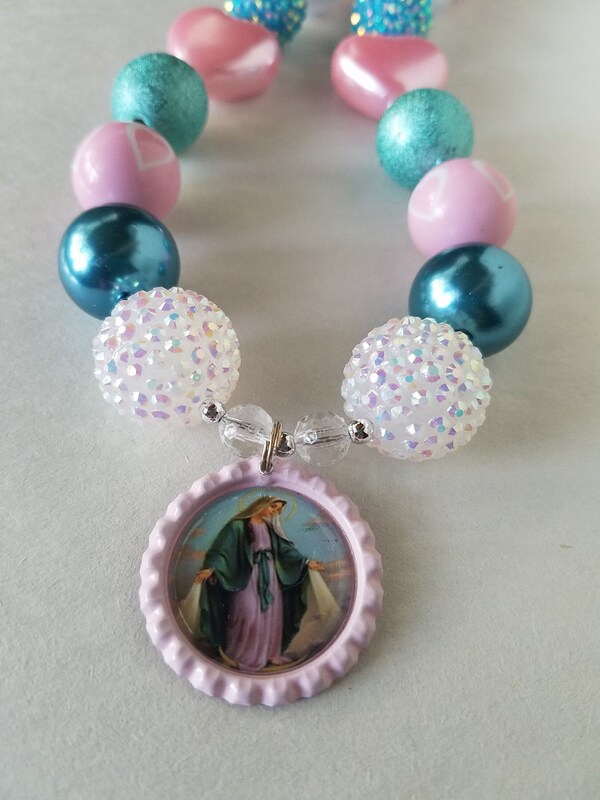 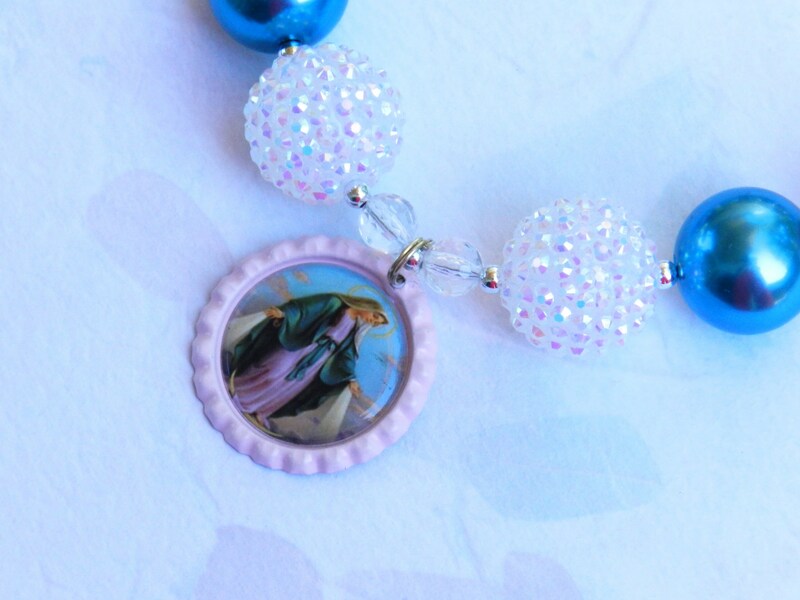 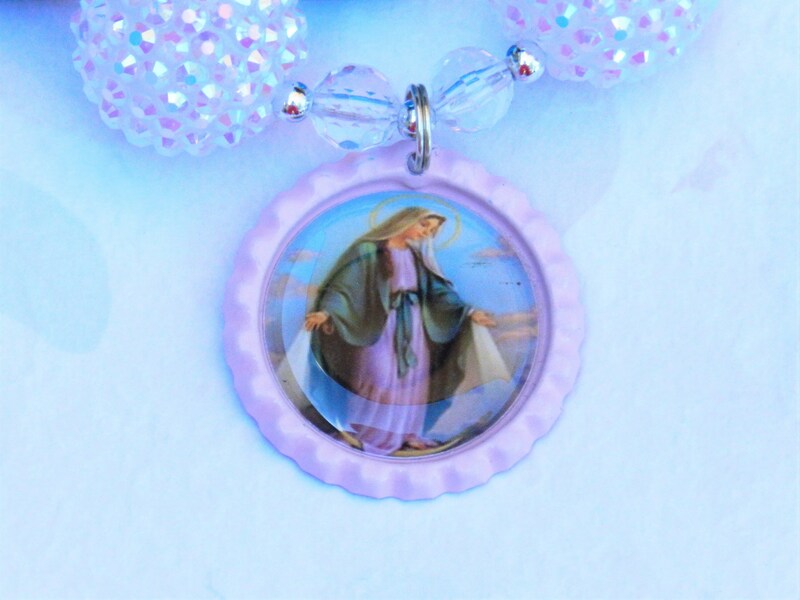 Multi Colored Bubble Gum Bead Necklace with a Beautiful Catholic Image Pendant. 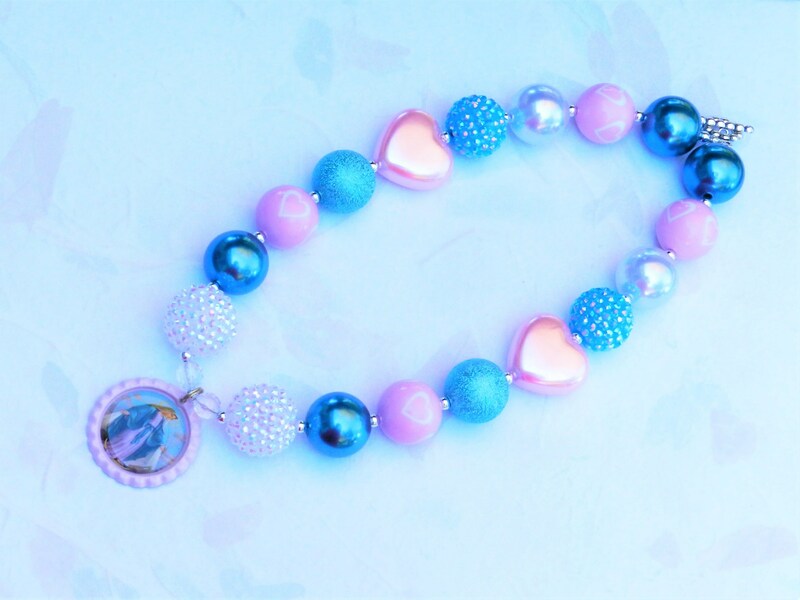 ~ If you do not see the colors or a design that you are looking for, please contact me. 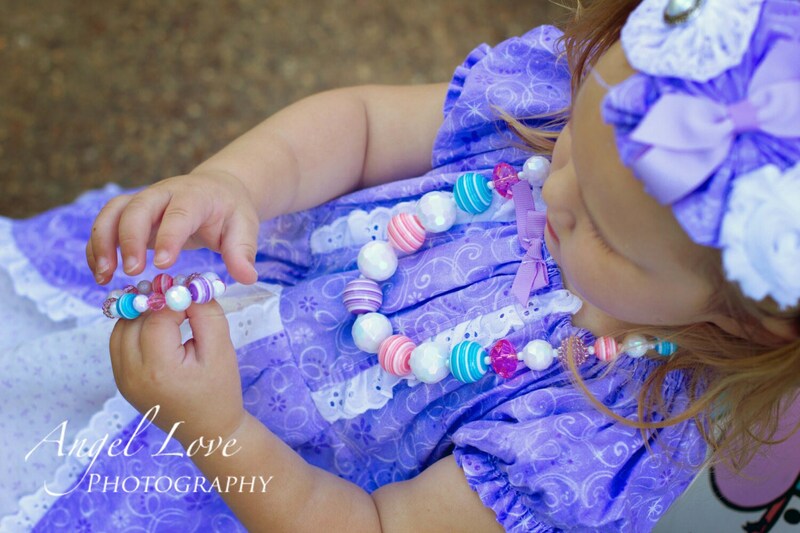 Other image also available upon request.